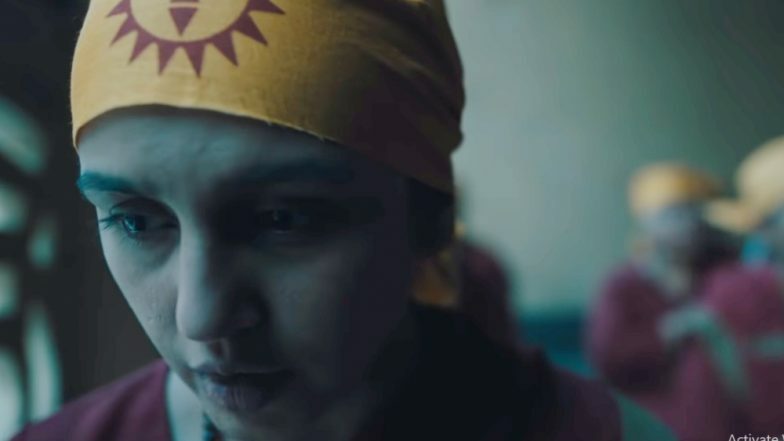 Huma Qureshi and Siddharth-starrer miniseries "Leila" will debut on Netflix on June 14, the streaming giant announced on Friday. The dystopian drama, co-directed by Deepa Mehta, Shanker Raman and Pawan Kumar, is based on Prayaag Akbar's book of the same name. The six-episode series follows Shalini (Huma), a mother in search of her daughter Leila whom she lost one tragic summer. Shalini deals with various hardships in the course of her search, in a story of longing, faith and loss. Netflix’s Dating Around: Viewers Left Fuming over ‘Racist’ White Dude Mansplaining Love to an Indian Woman. "'Leila' has been a fantastic Netflix project to work on. I'm thrilled to be essaying Shalini, whose unique mix of strength, grace and optimism is what gets her through all kinds of obstacles. So it really has been an honour to portray a character that has not only pushed me as an artist but I believe will resonate with a lot of young women. After Saif Ali Khan in Sacred Games, Hrithik Roshan to Make an Exciting Web Debut with Netflix's Underwater Thriller? "It is unlike anything I have done before and I can't wait for Netflix to take this story to the world," Huma said in a statement. Deepa, who is also serving as the creative executive producer on the series, said apart from showing Shalini's quest to find her daughter, the show is also about finding your own identity. "'Leila' is about awareness, about paying attention, about looking at the world around us and asking pertinent questions about our future. That's what makes it so perfect on a platform like Netflix with its global reach and ability to address a range of audiences with relevant, resonant stories," she said. The series will also feature Rahul Khanna, Sanjay Suri and Arif Zakaria, among others. Siddharth, who is playing Bhanu in the series, described his character as "complex" and said portraying it on screen was an "intense yet fruitful journey". "Although the story 'Leila' is set in a dystopian age, it is about human emotions. The team on set was wonderful which made this journey even more memorable. I am very excited to see how a global audience on Netflix reacts to this story," he added.